Gray wolf (Canis lupus), also known as the timber wolf. Mammal of the order Carnivora and is the largest wild member of the Canidae family. The shoulder height ranging from 26–36 inches and its weight varying between 70–135 pounds. Gray wolves play an important role as apex predators in the ecosystems they occupy. Gray wolves are highly adaptable and have thrived in temperate forests, deserts, mountains, tundra, taiga, and grasslands. Wolves have been featured in the folklore and mythology of many cultures throughout history. Norse mythology tells the legend of the giant Fenrir. Wolves have also appeared in Western fairy tales such as Little Red Riding Hood and the Three Little Pigs, in which the wolf plays the role of the villain. The Gray Wolf, being a keystone predator, is an integral component of the ecosystems to which it typically belongs. The wide range of habitats in which wolves can thrive reflects their adaptability as a species, and includes temperate forests, mountains, tundra, taiga, and grasslands. · Gray wolves in the Rocky Mountain region will no longer be protected under the endangered species act. · This means states will manage control of the animals and hunting will resume in some states. · Gray wolves in Wyoming will remain under federal management until the state has a management plan. The U.S. government said Wednesday it is formally removing about 1,300 gray wolves in the Rocky Mountain region from the endangered species list, acting on the orders of Congress last month. The Interior Department will also seek to remove thousands more wolves in the western Great Lakes region from the endangered list because they have recovered to "healthy levels," Interior Secretary Ken Salazar told reporters. The issuing of the final rule means that states will manage control of the animals, and that hunting will resume in Idaho, Montana, and parts of Utah, Oregon and Washington. Gray wolves in Wyoming will remain under federal management until that state develops a suitable management plan, he said. "The recovery of gray wolves in the United States is a tremendous success story of the Endangered Species Act," said Salazar. "From a biological perspective, gray wolves have recovered. It is now time to return their management to states that are prepared to ensure the long-term health of the species." The move caps a long political and legal battle that dates back to the George W. Bush administration. Last month, an annex was added to the highly disputed budget bill, removing the wolves in that range from federal protection, marking the first time Congress ever removed an animal from the endangered species list. 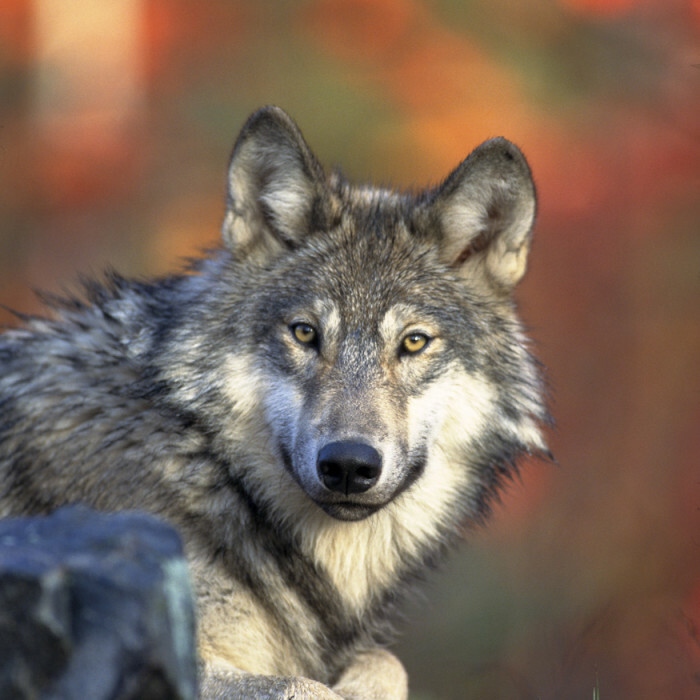 Environmental groups opposed the move, but admitted defeat after years of fighting in court to preserve the endangered status of the gray wolves. The wolves had all but disappeared from the region until they were reintroduced in the 1990s, and their protected status has allowed them to reach a total population of 1,651 across the entire Rocky Mountain region, including Wyoming, which is not affected by Wednesday's decision, said the Sierra Club. But ranchers say wolves are a nuisance to livestock and could even threaten humans if their population grows too large. Salazar said the government would accept public comments on its proposal to delist gray wolves in Minnesota, Michigan and Wisconsin before acting further. "To be sure, not everyone will be satisfied with today's announcement," Salazar said. "Wolves have long been a highly charged issue but let us not lose sight of the fact that these delistings are possible because the species has recovered in these areas."